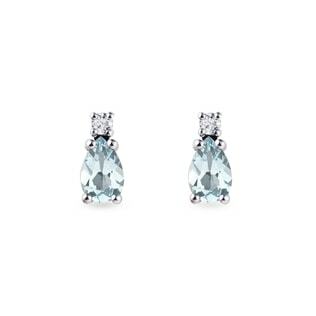 Aquamarines have long been a symbol of hope. 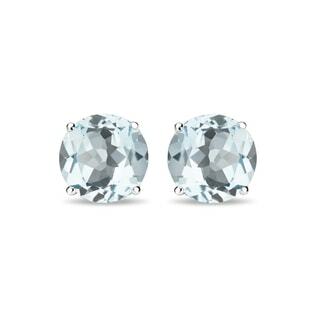 With our wide range of designs, from simple studs to eye-catching drop earrings, we’ve got the styles that your sweetheart’s been hoping for. 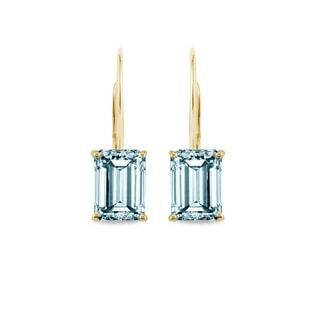 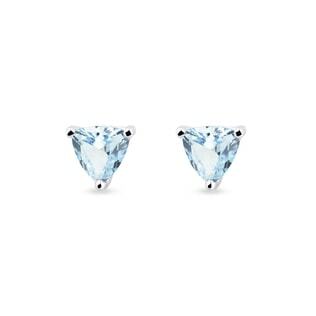 Go for a classic look with square-cut aquamarines, or try on something a little out of the ordinary with our triangle-shaped studs. 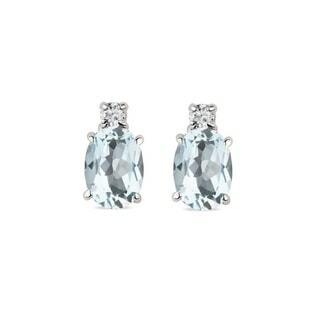 To add some high-fashion glamor into your life, select a design that pairs our gorgeous, oceanic aquamarines with sparkling white diamonds--and don’t forget a matching necklace!